Persons injured in auto accidents as a result of another’s careless actions have a legal right to be rewarded just compensation. The compensation such persons can receive may come in the form of a formal court based lawsuit, or in some cases as an out of court settlement. Only a qualified personal injury attorney with the right training and experience can guide the injured party safely through this process as there are many pitfalls and snags an unrepresented person may encounter without professional injury lawyer. Who Needs Representation in Auto Injury Cases? There are just two instances where a person may be best advised to proceed with an auto injury case without consulting an accident injury law firm. They are No-Fault cases, and cases where the victim is already receiving the maximum amount of available compensation. Persons injured in an automobile accident who live in a No-Fault state may not require representation. The no-fault law is designed to keep cases that fall below a certain level out the court system. Unfortunately, California is not a No-Fault state. Therefore, there is no chance of auto injury cases in California being handled as such. What Can Legal Aid do for the Injured Party? Car Accidents Orange County Ca. An accident injury lawyer will help the injured party to obtain the maximum amount of legal compensation available. Invariable, insurance companies only pay to the extent of their policy limits. This means that in an instance where, for example, the party who caused the damage or injury has an insurance policy which offers a maximum settlement of $200,000, and the injured party has been offered that same amount- obtaining a more substantial verdict is unlikely to be of any use to them. Any further compensation beyond the maximum would have to be collected directly from the defendant. Should the defendant have money or assets which the plaintiff feels he or she deserves, and it is worthwhile to pursue further compensation- this is an instance where a California car accident lawyer is best qualified to decide how to proceed. It would be difficult for persons untrained in law to proceed beyond a maximum insurance payout. When is Legal Aid Necessary After a Recent Car Accident Injury? Some auto injury cases do not require legal aid. Victims of driver negligence can sometimes handle their cases easily with only the involvement of their auto insurance company, or with an out of court resolution. Injuries are serious, (or may become serious). The injured party is uncomfortable negotiating with the claims adjustor. The case becomes too complex to handle alone. 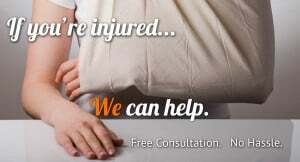 If you were just in a recent car accident collision or auto injury wreck and have injuries due to the vehicle accident. Contact a highly experienced Orange County Auto Accident injury lawyer who has helped numerous individuals in the Southern California region with compensation benefits for their injuries.